Did Ford Reveal The 2015 F-150's Fuel Economy In A Website Easter Egg? 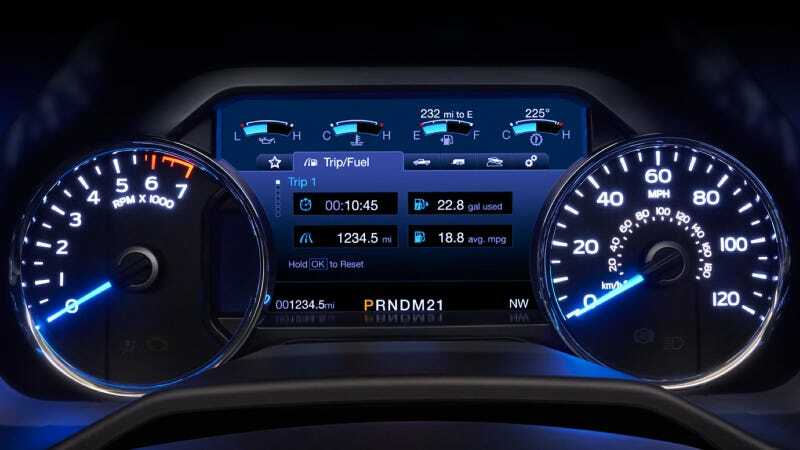 Pawing through the 2015 Ford F-150 website, a reader noticed a picture of the gauge cluster reporting an average fuel economy of 18.8 MPG. Is this arbitrary or a secret clue to the new truck's actual efficiency? The picture was found here, scrolling down to the "Technology That Works" section and flipping to the third picture from left. This is definitely a reach, but it seems more likely that there'd be some method to which numbers Ford used in this illustration beyond pure randomness. 18.8 MPG should be achievable with a current F-150, so perhaps that will be what Ford tells us. But you never know where Easter Eggs might be hiding! Hat tip to Steven for pointing this out!